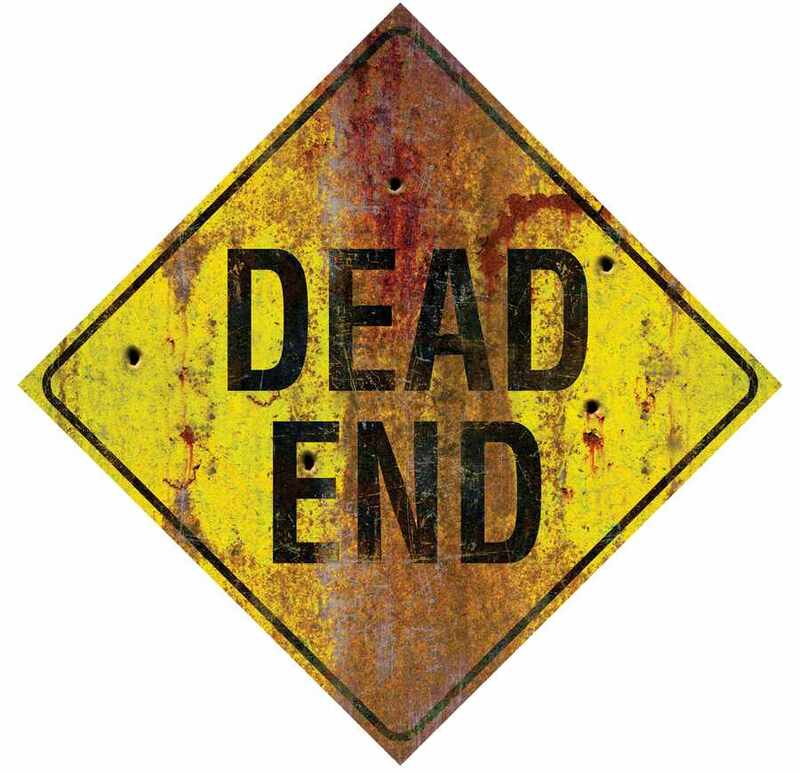 Metal ''Dead End'' sign is perfect for any creepy dark no way out display. Blood stains and distress make this a very realistic sign. Measures approximately 26 inches long by 26 inches wide.